You are invited to attend the family and friends education session. 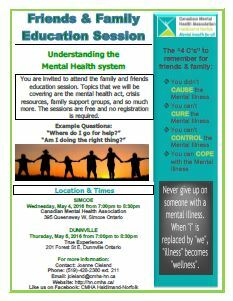 Topics that we will be covering are the mental health act, crisis resources, family support groups, and so much more. The sessions are free and no registration is required. Click here for more information.